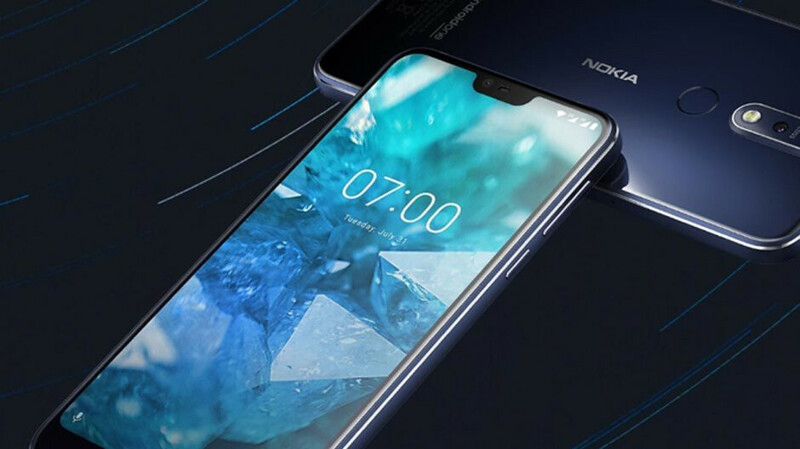 HMD's newest smartphone, the Nokia 7.1 made its debut on the market last month as part of the Android One program. Although the Finnish company revealed the phone will be available in two variations based on the amount of memory, just the cheaper version was available in Europe. The Nokia 7.1 with 3GB RAM and 32GB storage was launched in many European countries for around €320, but the improved 4GB/6GB model will be available for just €330. The phone is already available for pre-order in the Czech Republic, GSMArena reports, and it's likely to hit the shelves on November 30. Besides having a larger amount of memory, this model features dual-SIM support as well. In the United States, customers can already buy the 4GB/64GB model at various retailers for just $350. The phone comes unlocked, but it will only worth on GSM networks. If you plan to buy one in the coming days, or you already own one, you'll be happy to know that HMD has already kicked off the Nokia 7.1 Android 9 Pie rollout, so you should have the latest version of the OS very soon. So the model that’s available in the U.S. is now being made available in Europe. Cool. Pretty sure there are those that will enjoy the extra storage options. I don't understand why Nokia didn't just release it from the start. It never hurts to have options. Nokia doesn’t release smartphones anymore. HMD does. And this variant is being made available now, so the option is there. Again, the question isn't if they are doing it. The question is WHY didn't they do it at "first" when the phone was released? Again, the response isn’t “if this isn’t Nokia”, the response is “this isn’t Nokia because they don’t make smartphones anymore.” The answer is also “They are supplying the option now, so there is nothing to complain about”. It’s like if one would complain about any why didn’t Google supply the choice of the lite version of the Pixel sooner, rather than them about to release it now. Same for Apple with the XR. Why aren’t you complaining about those things? The Lite version of the Pixel isn't even confirmed yet. It's just a freaking rumor, and I called Apple out for the overly expensive XS. Once again you are making stuff up to suit your false narrative. It’s a bit more than a rumor, and you’ve never called Apple out over the XR being launched after the Xs and Xs Max. Once again, you’re changing the facts to suit your false narrative.